If you're in the business of reselling printed products, apply for our Reseller Program to start getting some sweet perks today! To support our loyal Resellers, we've created four shiny tiers of savings, beginning with the Bronze Membership Level. 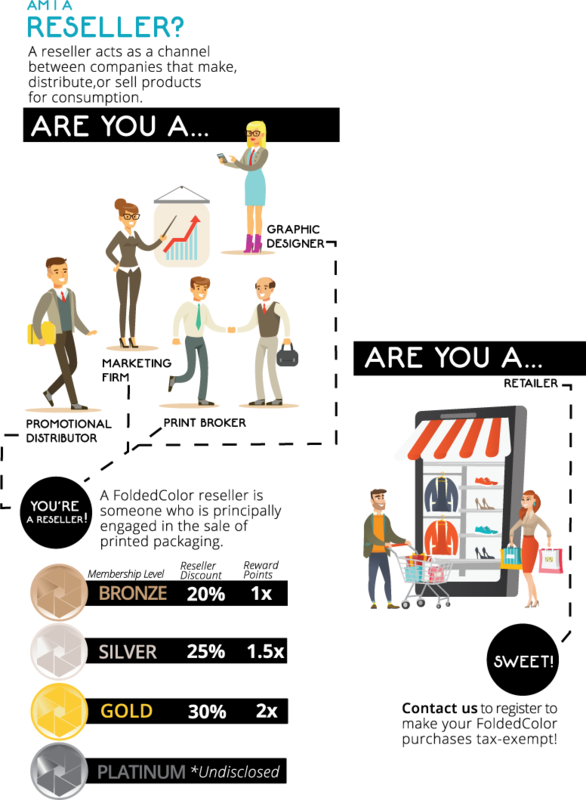 As your business with FoldedColor grows, your discounts and rewards will follow! Please Login or Register before signing up for our Reseller Program.